These two lions camped out no more than 40 meters from our truck on multiple occasions. An easy shot for even someone unfamiliar with guns. Also note how easily spotted Kaiah's radio collar is. Photo by Ben Block. “A real hunter kills for survival, never for sport. Taking an animal’s life is a sacred thing”, Norm Blaker, an 82 year old hunter who has hunted throughout the United States and Canada with hunting legends Fred Bear and Kiko Tovar, firmly says. “Killing is no sport” he adds with finality. I became aware of the scourge called trophy hunting while working with conservation and anti-poaching units in northern Zululand. While we focused on African Wild Dogs and Black Rhino, nine lions were also under our protection. During my time in South Africa, I heard stories of trophy hunts, watched videos of them and witnessed parts of hunts unfold first hand. My initial sympathy for trophy hunters (as I hunt whitetail deer once a year for consumption) faded as their selfishness, ignorance and recklessness became clear. My experience working with lions in the wild, position as a hunter, university study in biology and employment at a conservation genetics laboratory revealed the damnable, dangerous and destructive nature of lion trophy hunting. Here are the facts about trophy hunting a lion: it is easy to kill a lion, leopard or other trophy animal. The hunting of these species is plagued by unethical hunting practices. Most trophy hunting takes place under formally illegal ‘canned’ conditions. Hunted lions are often bred for slaughter by private companies. Finally, hunters’ claims that they support the conservation of a species through paid destruction of an animal are unfounded and ludicrous. Two years ago, T.V. personality Melissa Bachman killed a male lion in South Africa then tweeted, “An incredible day hunting in South Africa! Stalked inside 60-yards on this beautiful male lion…what a hunt!” A photo of the dead lion – a magnificent male – and a smiling Bachman accompanied the tweet. After working intimately with lions in the game reserves of Zululand, I can attest that shooting a lion requires no skill or courage. The wild lions I worked with would saunter carelessly past our vehicle, drink calmly from the streams and often bed down for the day less than thirty meters from our vehicle. In fact, the wild lions were rather uninterested in humans and spent their time grooming, sunning and sleeping, not running, hiding or attacking. These two lions camped out no more than 40 meters from our truck on multiple occasions. An easy shot for even someone unfamiliar with guns. Also note how easily spotted Kaiah’s radio collar is. Photo by Ben Block. Lions’ relaxed nature in the presence of humans makes them passive prey for the professional guide who would have led Bachman to her victim. In the comfort of the safari vehicle, the guide would have pulled the truck to within 60 yards of the lion’s position. This allowed Bachman to take a controlled and simple shot. Even if Bachman had dismounted the vehicle to take the shot, a team of professional trackers and guides would have protected her. When she took her shot, at least one guide would have shot the lion too, in order to ensure a kill shot. Melissa Bachman poses with the lion she ‘hunted’. Photo: Melissa Bachman via Facebook. Killing a lion is not a daunting or courageous task. It is simple. A novice shooter could easily accomplish Bachman’s feat. The hunter is continually under the protection of professionals and hunts from the safety of a vehicle. Hunting a lion in this manner is not courageous, it is cowardly. Coupled with the cowardice of trophy hunters are the unethical practices they use. The Threatened or Protected Species Regulations (TOPs) ban unethical hunting practices used in trophy hunting: baiting and spotting. However, a compromise between hunting organizations and TOPs allows the previous methods to be utilized against big cats. Companies which offer lion and leopard hunting glorify these cowardly methods; African Sky Hunting announces on its website that, “The leopard is most often hunted on bait. An impala hung on a conspicuous branch in good view from a blind makes an excellent ambush for ‘ol’ spots’”. Baiting is controversial as it gives the hunter an unfair advantage. No hunting skill is required, just a dead impala and mediocre patience. Real hunters pride themselves on their ethical conduct and ability to give a hunted animal “fair chase”, defined by the Boone and Crockett Hunting Club as “the ethical, sportsmanlike, and lawful pursuit and taking of any free-ranging wild…big game animal in a manner that does not give the hunter an improper advantage over such animals”. Trophy hunters of the big cats ignore these ethics and deny the hunted animal fair chase with the use of bait. The lack of ethics does not end with baiting. Whereas lions are often shot in the day, leopards are predominately nocturnal and usually must be hunted at night. Spotlights are used to illuminate leopards before they are shot from the safety of a truck or blind. TOPs bans the use of spotlights in hunting, called spotting, except for the hunting of leopard. Spotting is considered so unethical that its use has been banned in the United States. Illumination is not the only benefit of hunting with a spotlight. When shone into the eyes of an animal at night, the light can temporarily blind and disorient the animal. Many animals freeze when spotted, allowing an easy shot. While baiting and spotting speak to the true nature of most trophy hunters, the ‘canned’ conditions under which most hunts occur are perhaps the most damning. Photo pulled from http://www.makadi-safaris.com/leopard.htm. No photographer credited on website. Canned Hunting can be most accurately defined as the practice of hand-raising game (often locked in small enclosures and in constant contact with humans) then releasing the animal onto a small, fenced ‘reserve’ where it is shot and killed by a hunter. Canned hunting was illegal under TOPs until 2007, when a compromise allowed canned hunting conditions as long as the hunted animal had been living ‘wild’ for at least 24 months. In 2011, the regulations were lifted entirely. Entrepreneurs jumped on the opportunity and over 160 game ranches now populate South Africa. These ranches breed and sell nearly every African animal: bushbuck, impala, buffalo, kudu, lion and many more. Some ranches even carry tigers in their product line. Collectively, there are more lions held captive and bred in these ranches (estimated at 5,000) than in the South African wild (estimated at 2,000). The lions are hand-raised and habituated to human contact before being sold to hunting ranches, zoos and for traditional Asian medicine. One ranch, named Moreson, was detailed by Patrick Barkham. The ranch’s pub, named Lion’s Den, is the ranch’s main attraction. Tucked directly behind the bar is a series of cages containing lion cubs. For a small fee, tourists can play with the cubs and shoot photos of and with the lions. With sufficient funds, the tourist can return to South Africa in a few years and shoot the cub again, this time with a high powered rifle instead of a camera. They won’t have to worry about the hunt being difficult or dangerous though. A few days (or sometimes just hours) before the hunt begins, the lion – adapted to small cages and humans – will be released into a small, fenced reserve. Guides will track the domesticated cat and tell the hunter when to shoot. All from the safety of a truck. The hunter can then drape their rifle over the lion’s side and smile triumphantly over the mighty beast they risked their life to conquer. Rebecca Francis gleefully poses with a giraffe she killed. What Jones and many other pro-big-game hunters fail to address are the differences in lion populations from the early 1900’s to the present. According to National Geographic, upward of 600,000 lions were present during the early 1900’s. Now, there are fewer than 30,000 left in the wild. Chased from their habitat by human expansion and poaching, the population of lions is on a steady decline. Lion documentarians Beverly and Dereck Joubert predict that lions could disappear from the wild by 2020. Hunters before the 1940’s hunted the big cats when they were plentiful. Quite often, as in the case of Roosevelt, trophy hunters of the past also appropriated and donated large sums of public and private money to the preservation and conservation of land and animals. Today, hunters exterminate more and more of fewer and fewer lions while making no effort to preserve the population. The decimation of lions is exacerbated by the killing of adult male lions, the favorite target of trophy hunters, who seek the largest male with the fullest mane and sharpest claws in order to procure a mount to best impress. These male lions are the most genetically fit of their region’s population. When the genetically fit males are targeted and killed by hunters (as male lions have no other natural predator), the regional females must mate with genetically inferior or related males. The lack of genetic fitness, a result of breeding with unfit males, causes the production of unfit offspring, that often die before sexual maturity is reached. As generations pass, the lions in a region become less and less fit to survive in their environment given their damaged genetic makeups. Eventually, offspring cannot be produced or die shortly after birth and the regional population becomes extinct. (An example of destruction of a population through inbreeding and genetic unfitness is available here and here). The same is true for whitetail deer, bears, moose, impala and every planetary species of animal. The targeted destruction of trophy-worthy lions does not eliminate one animal, but eventually an entire population. Photo by Rolf Peterson. The last three wolves on Isle Royale. The population is almost certain to go extinct do to inbreeding. Canned hunting advocates would argue that lion ranches do not remove lions from the wild and that they directly assist in the conservation of lions by continually breeding new populations. These claims are false. While lion ranches and fenced hunting reserves may not eliminate wild males directly, their presence has further reduced the territory available to wild lions. Human expansion is the species’ greatest threat and fenced ranches and reserves eliminate hundreds of thousands of acres that could support many wild lions. The creation and expansion of these businesses is nearly as detrimental to the populations of wild lions as the expansion of a city. Merwe’s statement couldn’t be farther from the truth. The mortality rate of wild lion cubs is as high as 80%. However, the majority of these deaths are caused by disease, predation and abandonment. If starvation does occur, it is usually because a lion pride does not catch enough prey for consumption. All of the above reasons for cub death can be controlled and remedied in captivity. Moreson needed an excuse to drag away the cubs so they can force as many litters out of each lion as possible. A typical female lion will carry her litter in the womb for approximately four months before giving birth. After delivery, the cubs must be attended to intensively for about six months. This means that, in the wild, the average female lion produces one litter of cubs per year. Breeders force female lions to deliver as many as five litters every two years. This exploitation of the lion’s breeding capability is enabled by stripping of cubs immediately after birth. With cubs absent, the female will quickly become fertile again, allowing the production of another litter in a matter of months. If the females at Moreson had no milk, the ranch’s absurd and abusive method of breeding is the cause. The constant, unnatural changes in the females’ hormones could very well cause abnormal bodily performance. Above all else, the lions produced by ranches are not suitable to survive in the wild and could not replace populations if wild lions were to go extinct. This is because of genetic inferiority and unnatural upbringing of the lion cubs. Ranches only have access to a small number of breedable lions at a time. This results in inbreeding between brothers, sisters, cousins and possibly even parents. Inbreeding leads to genetically unfit lions that are not suited to breed or survive in the wild. While the lions produced by ranches may be good enough for the purposes of faux Chinese medicine, zoos and the selfish desires of trophy hunters, they will not be suitable for survival in the wild. Even if the bred lions were genetically fit for survival in the wild, the methods by which they are raised would doom them. Cubs are stripped from their mother mere hours after birth and are then hand-raised by humans. The lions become entirely dependent on human caretakers and do not learn how to hunt. If released into the wild in such condition, the lions would quickly die of starvation. Photo by Stephane De Sakutin. A lion born and raised in a South African ranch peers out from its cage. More devious methods of lion hunting have recently come to light with the killing of a famous Zimbabwean lion named Cecil. Cecil was a major tourist attraction at Hwange National Park and wore a radio collar to help conservation units monitor his movements. Protected within the borders of a national reserve, ‘professional’ hunter Theo Bronchorst baited Cecil from the borders of Hwange National Park onto land owned by Honest Trymore Ndlovu. American dentist Walter Palmer then shot the collared lion with a barbed arrow. Injured, Cecil fled. The hunters gave chase and shot Cecil dead 40 hours after the arrow struck. They then beheaded the lion and left the carcass to rot. Despite the damage wrought by wild and canned hunting, hunters all proclaim their concern for the lion’s future and that their hunting endeavors help the conservation of the animal. They spend tens of thousands of dollars to complete a hunt and claim that this money ‘helps conservation’. A survey of various hunting companies revealed that a trophy lion hunt had an average, base cost of $25,000 (USD). To the base cost, additional costs must be added. Guides and trackers must be hired to assist in the hunt. Most companies provide guides and trackers for $450 per day per professional and lion hunts are advertised to take 10-14 days to complete. Added on top of all the previous charges are those for plane tickets, firearm importation, lodging, food, taxidermy and trophy exportation; fees that can easily sum well above $10,000. In short, a lion or trophy hunt for a single individual can total $40,000 or more. Those costs only increase when a hunter brings family or friends along. A mere fraction of this cost goes to lion conservation. Most of the total goes to private entities such as lodges and guides. Even if the base cost to kill a lion went directly to a reliable conservation agency or program, why would the hunter wish to kill a member of the species they pretend to care so much about? If trophy hunters truly gave a damn about the preservation of wildlife, they would simply donate the money they spend to kill to the conservation of the species. Since they have the funding to travel around the world out of bloodlust, they have the ability to legitimately support preservation. Conservation organizations such as Wildlife ACT and rehabilitation programs like Lions Rock actually save, protect and preserve wildlife and are always in need of donations. Trophy hunting of lions in today’s world is a cowardly and destructive activity, benefitting nothing other than the ego of the hunter. With lions under the threat of extinction, why must trophy hunters kill what they purport to preserve and protect? 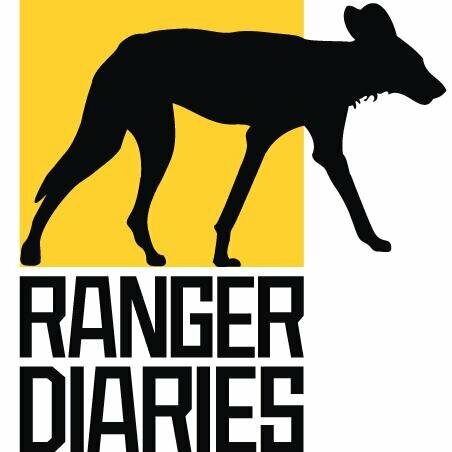 Check out a great documentary on canned hunting here.